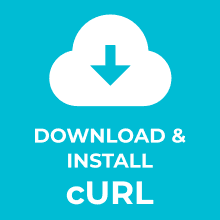 Need to download and install cURL on Windows? …and how to configure it so you can use it from command line. 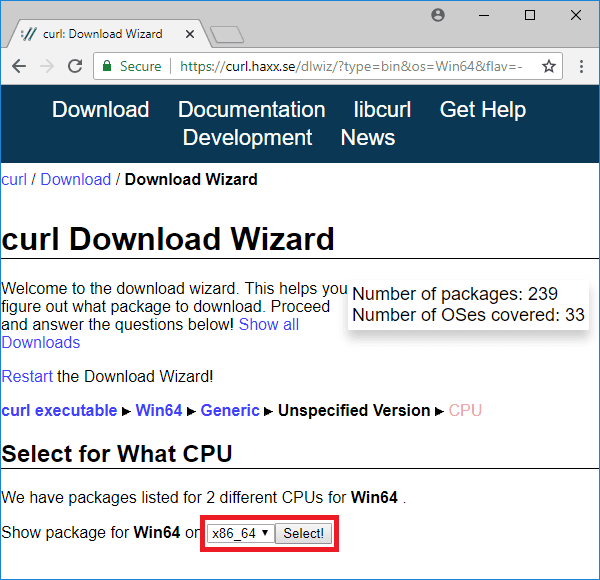 This tutorial focuses on Windows 7 as cURL is now part of the command line tools on Windows 10. 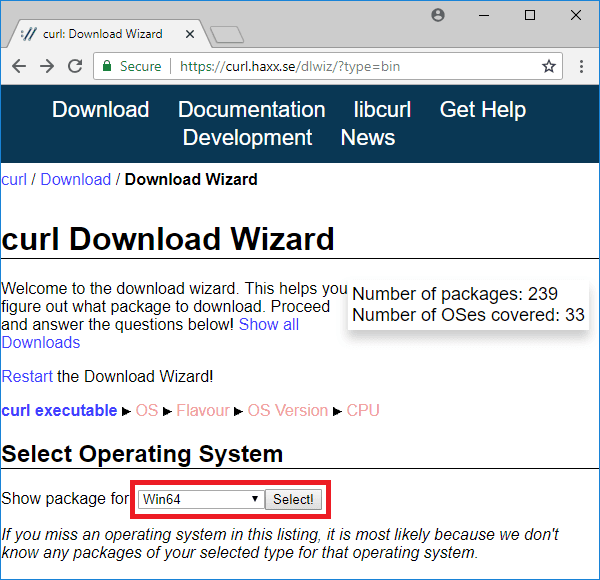 Go to the cURL download wizard page. Click on the Download! button for the ZIP package. At the time of writing the recommended cURL version was 7.61.0. Do you want to skip above steps? 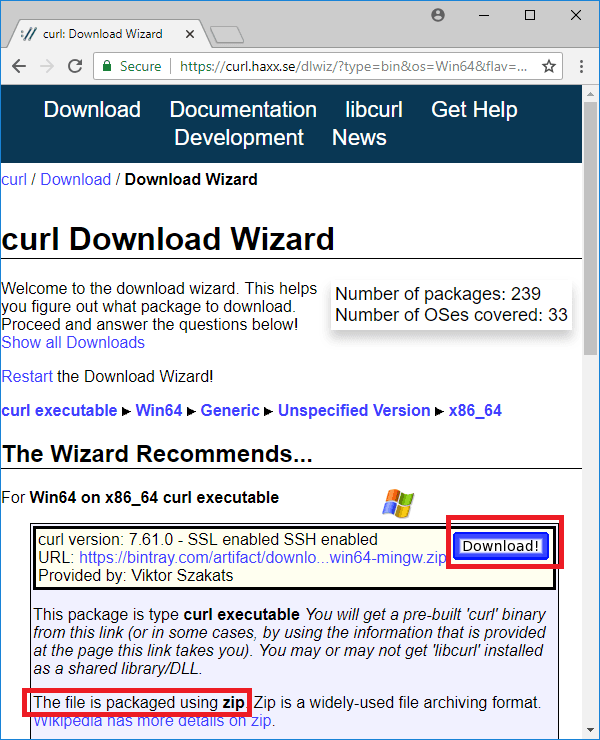 Here is the direct link to download the most common cURL 7.61.0 package for Windows. 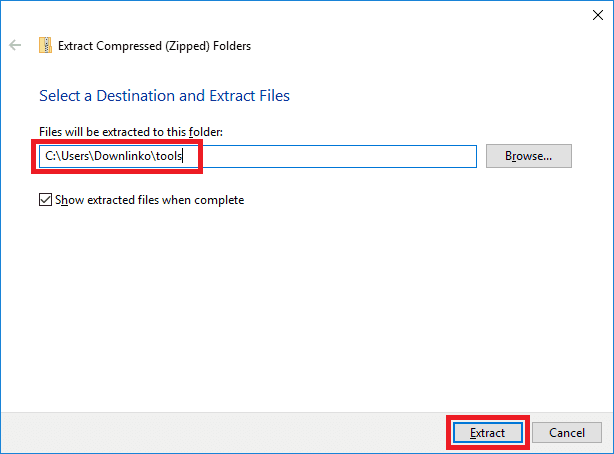 Select an extract destination for the cURL files. 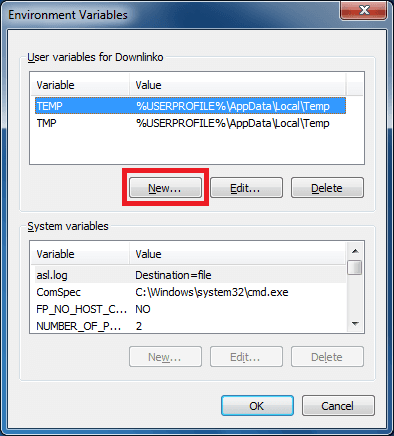 In this example, we extract in C:\Users\Downlinko\tools. 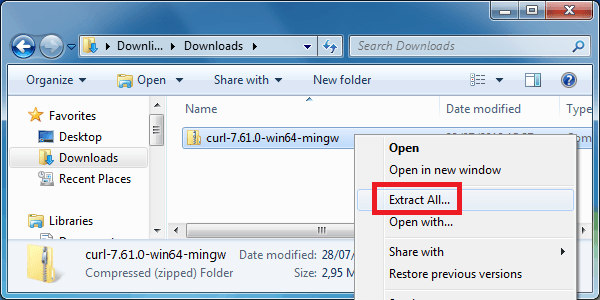 This extracts all cURL files under C:\Users\Downlinko\tools\curl-7.61.0-win64-mingw. 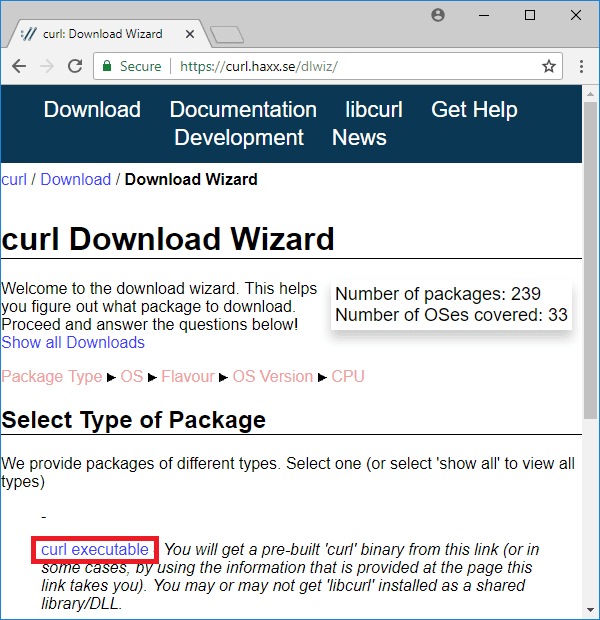 From now on we refer to this location as [CURL_INSTALL_DIR]. 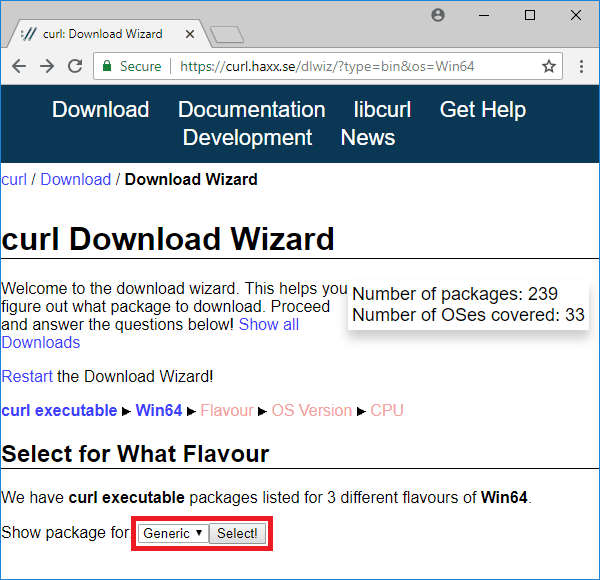 We need to set up an environment variable that will point to our cURL installation. Click on the Windows button. Then type “env” in the search box and press ENTER. Enter “CURL_HOME” as variable name. Enter the [CURL_INSTALL_DIR] as variable value. 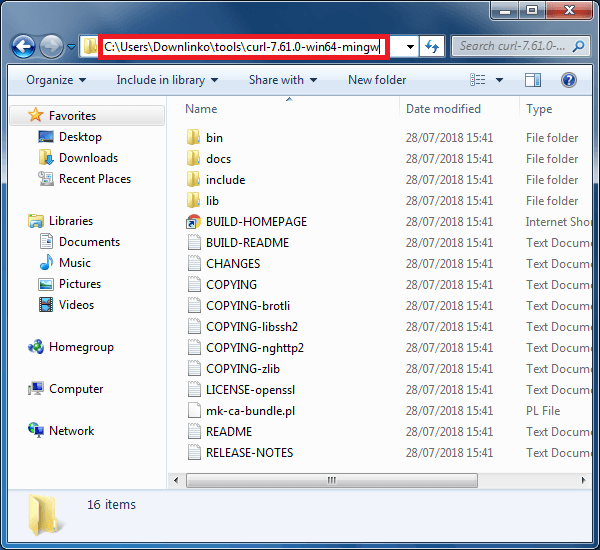 In this tutorial the installation directory is: C:\Users\Downlinko\tools\curl-7.61.0-win64-mingw. 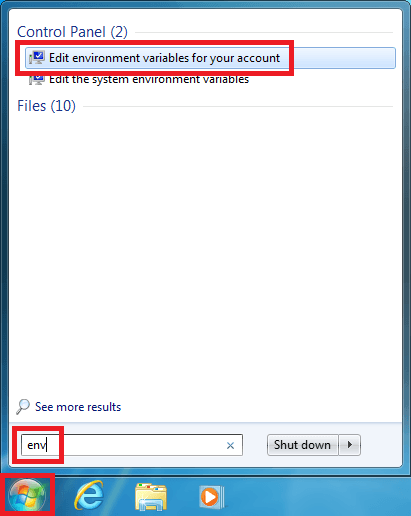 Next we need to configure the PATH environment variable so we can run cURL from a command prompt. Click on New… once more. Enter “PATH” as variable name. Enter the “%CURL_HOME%\bin” as variable value. If a PATH variable already exists you need to edit it. Select the PATH variable and click on Edit. 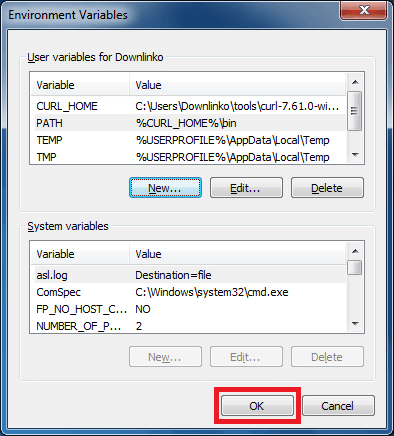 Append “;%CURL_HOME%\bin” at the end of the variable value and click OK.
To test the setup click on the Windows button. 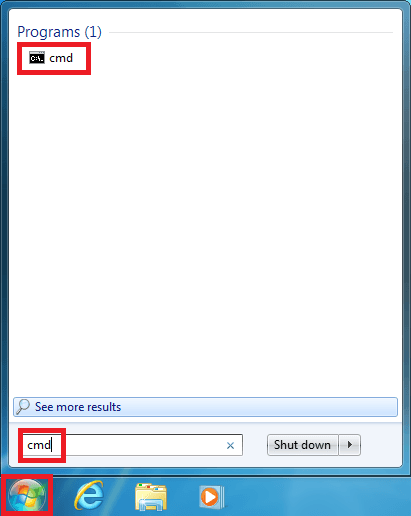 Type “cmd” in the search box and press ENTER. Click on the Command Prompt shortcut. Wait for the command prompt to open. Type “curl --version” and press ENTER. The above command prints the installed cURL version. 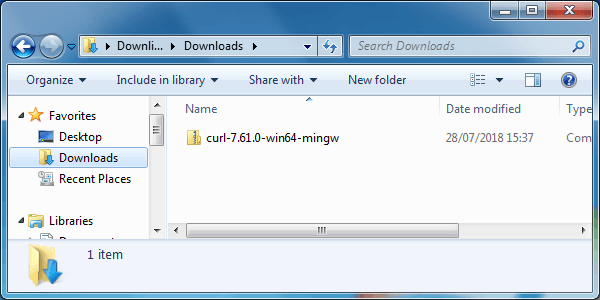 Congratulations, you have installed cURL on Windows 7!